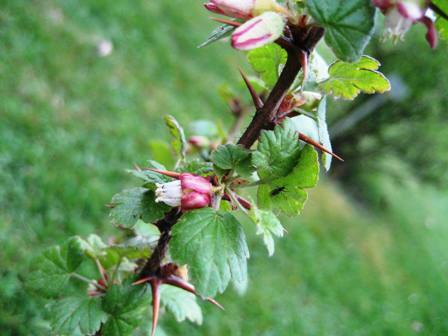 Synonyms: Grosularia apestris, Ribes grossularia. Himalayan gooseberry is a cold area fruit. 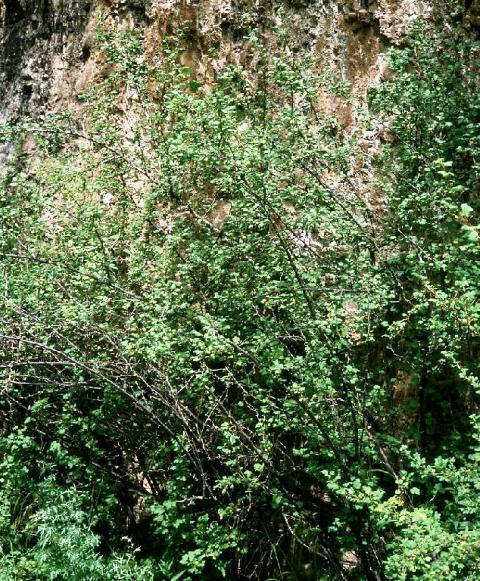 It is a plant of common occurrence in East Afghanistan, Pakistan, India, Nepal, Bhutan, Tibet and West and Central China at elevations from 2400 to 3800 m. The plants can grow at fairly dry sites on open slopes with other shrubs at the edge of forests. It grows only wild and has not been brought under cultivation yet. An erect shrub, l-2 m tall, with 3 prickles at each node; twigs with inconspicuous gland tipped hairs or bristlesBerries globose or ovoid, glandular and pubescent, 1 cm in diameter. Leaves crowded on dwarf shoots, l.5-2.8 cm long, l.5-3.6 cm broad, orbicular, obtusely 3-5-lobed; lobes inciso-crenate, slightly hairy on both sides, basal nerves 3-7; petiole 0.5-5 cm long; stipules absent. Flowers pink, 4-6 mm in diameter, bisexual, solitary on short pubescent bracteate peduncles. Calyx tube 3 mm long, lobes 6 mm long, reflexed. ; petals 3 mm long; stamens exserted; ovary pubescent with gland tipped hairs. Himalayan gooseberry fruits are eaten raw by local people and taste quite good. These can also be made into soft drink and wine. 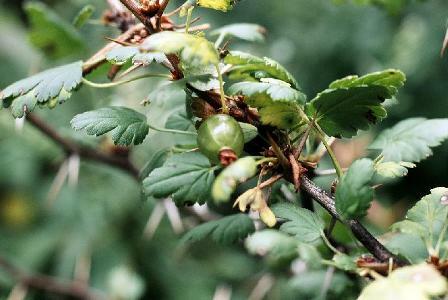 Himalayan gooseberry fruits are collected from the wild only. This plant has not yet been brought under cultivation.